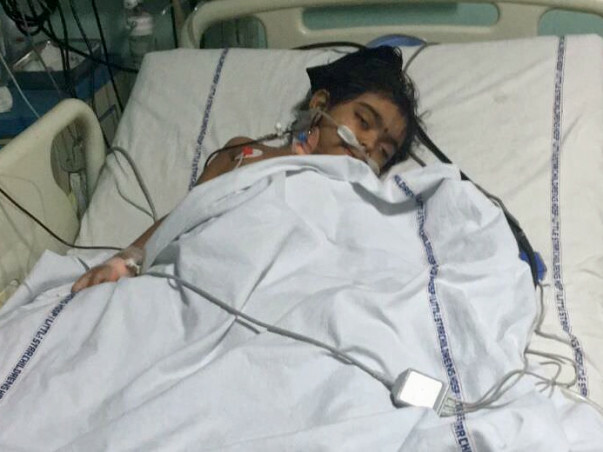 A few days back 4-year-old Darshini, daughter of Rakhee Singh was diagnosed with Sepsis which has caused multiple organ failure. She is in a very critical state in the ICU and is on ventilator support. She will continue to remain on ventilator support for the next 2 weeks until she begins to recover. 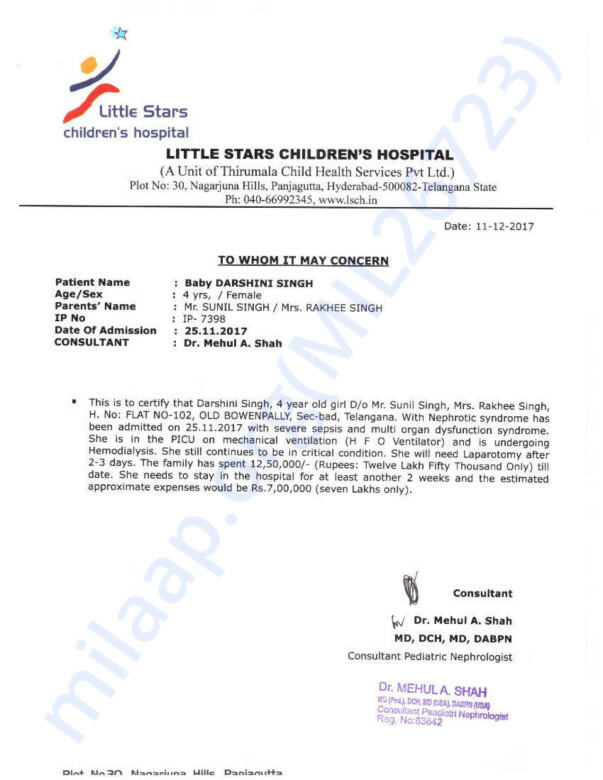 The total cost of her treatment so far has been 12 lakh Rs which the parents have paid for but she needs another 7 lakh Rs for her further treatment. Rakhee and her husband have exhausted their funds now and need our help. Your contribution can give Darshini the treatment she deserves. Darshini passed away today (21st December at 12:30 am). Our hearts go out to this brave child who endured so much pain and fought so hard for her life but due to the severity of her condition she was unable to make it. Your timely support ensured that she received the best medical care. Funds from the campaign will be utilized for bills incurred by the family for Darshini's treatment. The family is grateful for all the care and support you’ve shown Darshini. The past few days have been the most difficult ones for the family and we hope they find strength in this time of grief. May this little girl's soul find peace. Please keep the family in your prayers. Here is an update on Darshini. Darshini has undergone the surgery for the small intestine today morning. The doctors removed the 75% of her small intestine that was infected. Once her body has adapted to the change and she is stable, they will do another surgery to stitch the small intestine with the large intestine. There had been a small increase in her blood pressure level. A major portion of her respiration is supported with the help of artificial methods. Her reports have been sent to test the reason for the cause of infection. We will keep you posted on further developments in her condition. Thank you for your support and love for Darshini. Please keep her in your prayers.